Established in 1995 as VRBO, which stands for Vacation Rentals By Owner, is exactly what the unpacked acronym says. It is basically an internet OG and the precursor to the now more popular Airbnb. 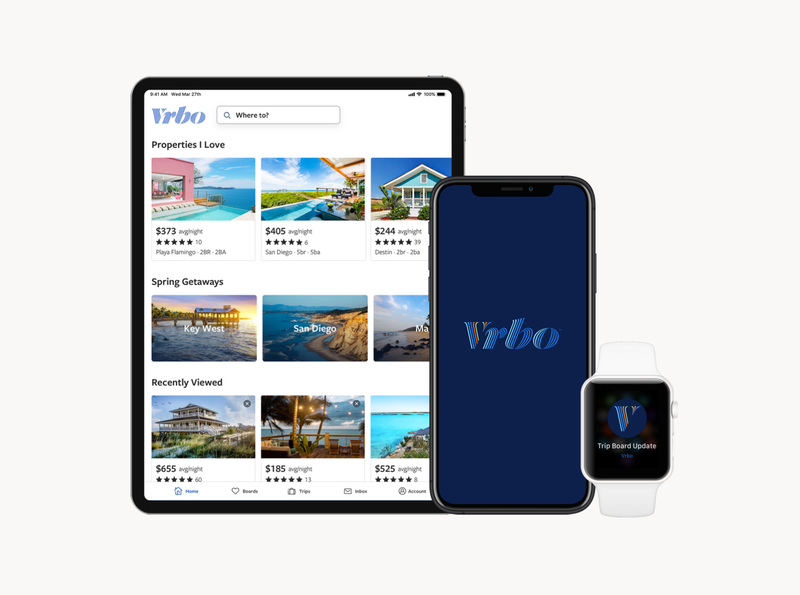 Purchased by Homeaway — a vacation rental marketplace — in 2006 which in turn was acquired by Expedia in 2015, VRBO has more than two million rental listings in 190 countries. Last week, VRBO announced it would switch its name from being pronounced “V. 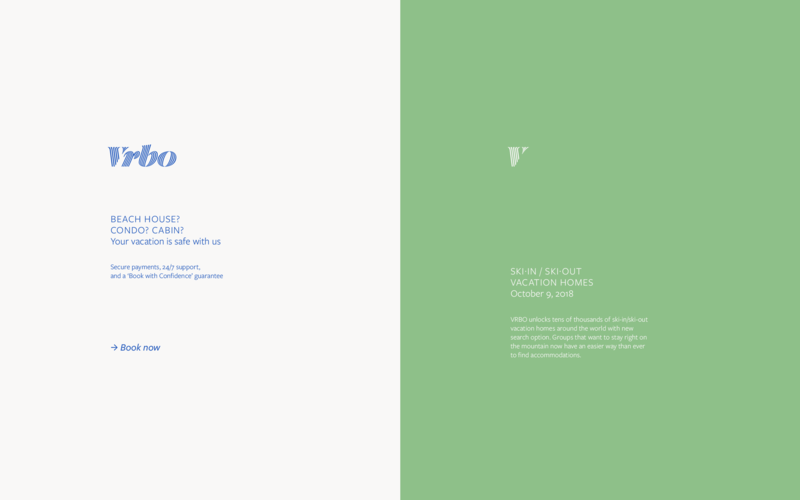 R. B. O.” spelled out to “Ver-boh” and changed its written form to Vrbo, along with a new logo and identity designed by Austin, TX-based FÖDA. The Vrbo rebrand is both baton pass and design sprint. 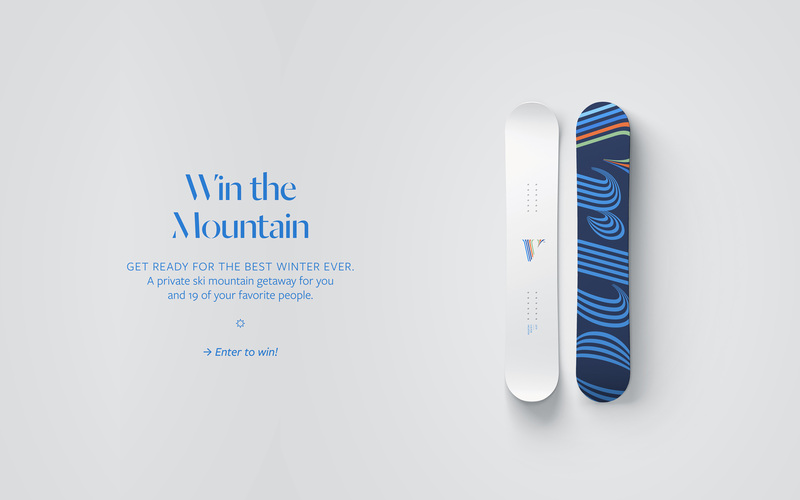 Brought on board by the VP of Design, our task was to learn from their internal strategy work, process the research of outside consultants, reposition the brand visually and phonetically, support the internal design team by developing a definitive aesthetic for the rebrand…and do it in 8 weeks? We searched for a singular iconic reference to vacation. This was challenging given the different ways we get to our vacations, the variety of destinations we visit, and the breadth of activities we engage in. 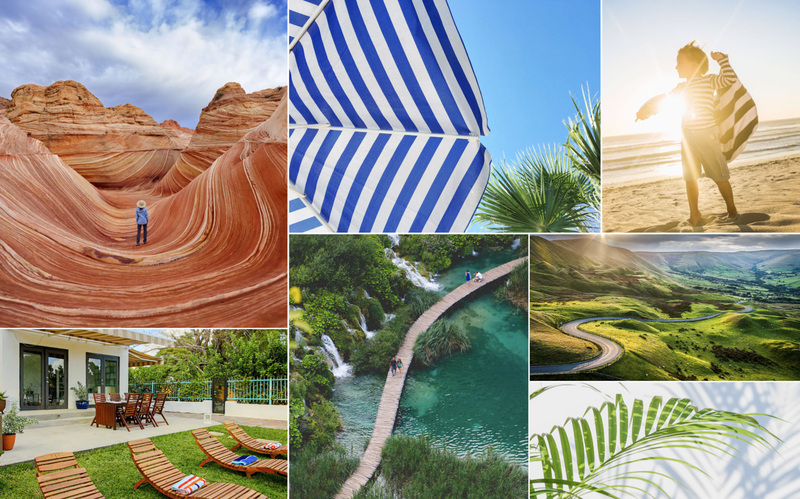 We were delighted to discover a pattern in our research that has been prevalent in vacations and travel for decades. Stripes! We found stripes in the clothing we wear on vacation, from board shorts to ski clothes to the classic French breton. Stripes in the destinations we visit, from umbrellas on the beach to log cabins in the mountains. And stripes in the natural landscapes we visit, from geological striations to the crest of a breaking wave. 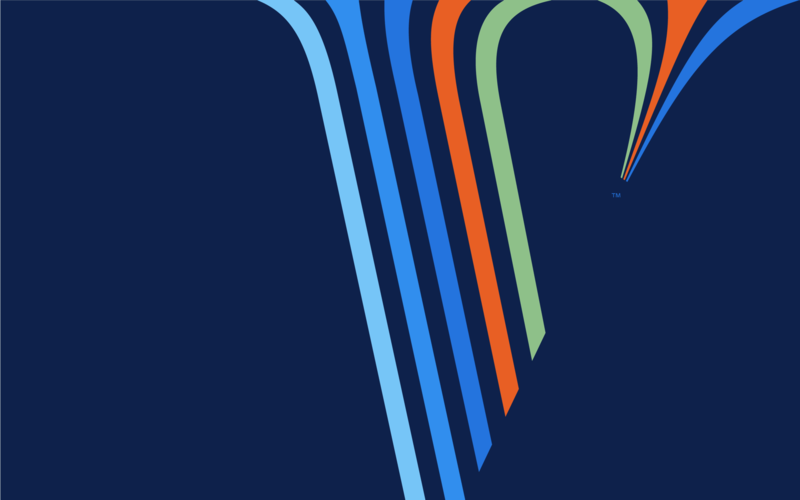 Inspired by stripes, our new wordmark symbolizes everything we love about travel. The excitement of new adventures. The special feeling of time removed from the everyday. 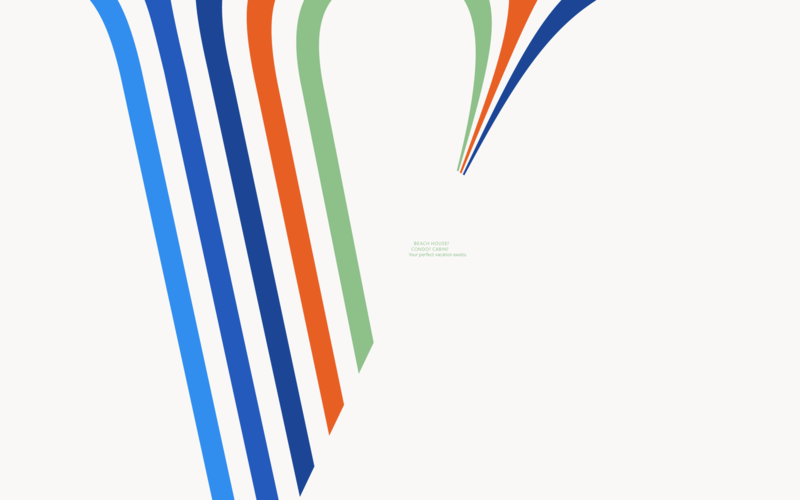 The pathways and lines of the wordmark symbolize different people coming together. The lines parallel then converge — their paths often part, but eventually find their way back to one another. The old logo was sad with the saddest, least interesting wordmark possible. But considering that at some point it looked like this it used to be worse. So, yes, there was no doubt this needed to evolve, especially in contrast to Airbnb’s slick and on-point brand. The new logo is as flamboyant as the old one was dull. It comes almost as a shock that it’s the same company. Visually, I really like the new logo. More so in single color than full color and I can get on board with the concept behind it, even if it’s a little bit of a stretch. The logo is a customized version of Commercial Type’s Dala Prisma Fat Italic, which is a lovely font. My main concern with a logo like this is how well it reduces online and, at least at the size they have it on their website, it holds up — any smaller and you start getting that vibrating effect of thin lines running into each other. On the website you can also see a favicon in action and I think a solid version of the full logo would look fairly nice too for small applications. Monogram for social media avatars. The monogram on its own is okay but can feel a little desolate… the wide open space on the bottom right when it becomes a social media avatar feels too empty but those are the consequences of living la vida italic. Monogram animation (for Instagram Stories). 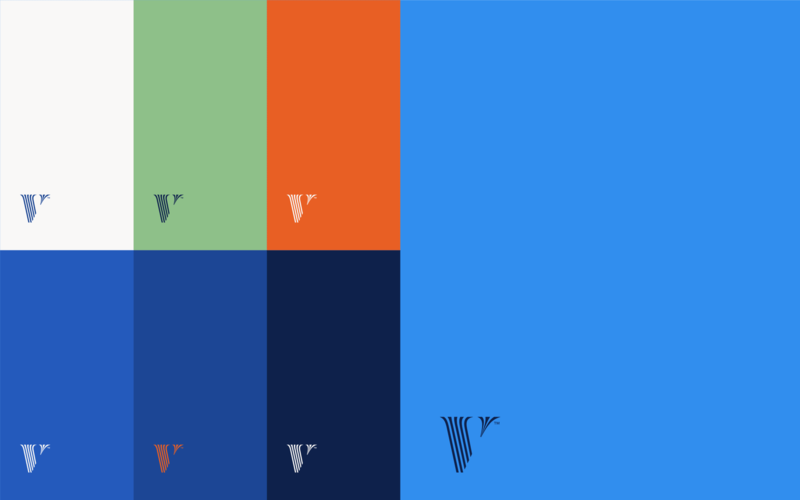 The broad color palette represents the vibrant colors we associate with vacation — the brilliant blues of the ocean and the sky, the glowing orange of a sunset, and the peaceful greens of the wilderness. We are also excited about adapting our logo to alternative color treatments, which allows us to represent and celebrate different people, countries or causes. We wanted to be bold and take risks with our new brand. Vacations are filled with experiences that are exciting, adventurous and often unexpected. Now, our brand embodies the fun, lively spirit of traveling with family and friends, which has been core to our business all along. Color options for the logo. 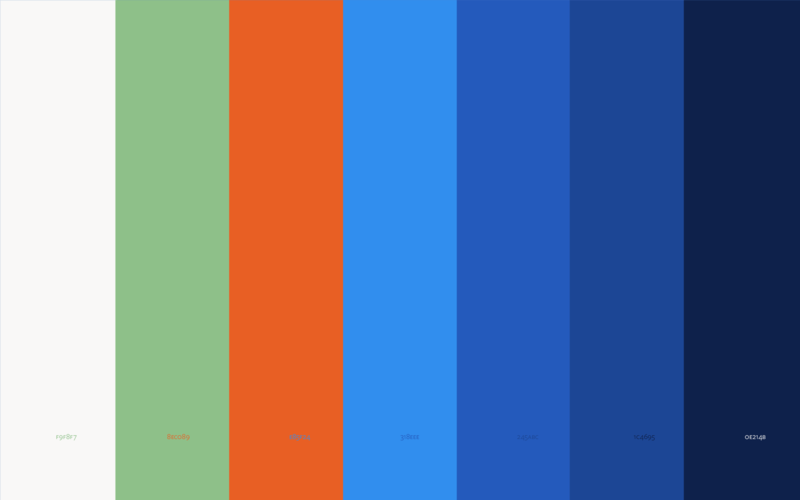 The color palette is interesting… I don’t think the orange and green really go with the blues but it certainly breaks with conventions. Not much in terms of application and the few samples of typographic use are questionable if they are even applications, with such tiny untreated text, typeset in light weights of Freight Sans. The last quote mentions being bold and taking risks with the new brand which, yeah, is not apparent yet. Although the ad below begs to differ. Overall, this is a pretty huge redesign in terms of how dramatic the change is, going from basically nothing to something with a lot of personality and exuberance and, at least when it comes to logos, it’s the anti Airbnb. Thanks to Mark Kingsley (who also provided the title) for the tip.